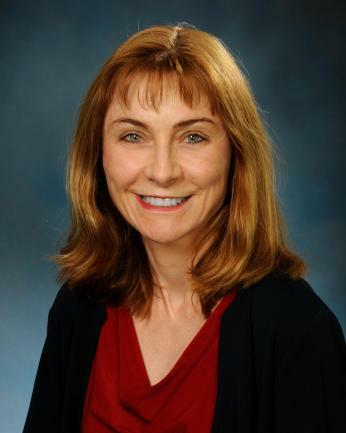 Karen Anderson, MD, a neuropsychiatrist with dual appointments in the departments of psychiatry and neurology at Georgetown University Medical Center and the director of the Huntington’s Disease Care, Education, and Research Center (HDCERC). (February 1, 2019) — A group of international experts in Huntington’s disease, led by Georgetown University Medical Center’s Karen Anderson, MD, has developed consensus guidelines for the clinical management of behavior symptoms caused by the incurable disease. Huntington’s disease is a fatal genetic disorder that impacts a person’s physical and mental abilities that is often accompanied by behavioral symptoms including agitation, anxiety, apathy, psychosis, and sleep disorders. “These guidelines help non-specialist clinicians understand that Huntington’s disease is a not a hopeless condition,” explains Anderson, director of the Huntington’s Disease Care, Education, and Research Center, a joint program between Georgetown University Medical Center and MedStar Georgetown University Hospital. She says that as many as 70 percent of people with Huntington’s disease are treated by general clinicians, neurologists and psychiatrists who are not trained to recognize or treat behavioral symptoms related to the condition. “The guidelines convey the important message that we have treatments available now for many neuropsychiatric symptoms of Huntington’s disease,” explains Anderson, an associate professor of psychiatry and neurology. For any disease, most clinical guidelines are based on robust clinical evidence. However, more rare conditions, such as Huntington’s disease, often lack the necessary clinical evidence required to assess treatment efficacy and safety. In such cases, expert-developed guidelines help overcome these limitations. The international, multidisciplinary expert panel led by Anderson was tasked to develop statements that target five common behavioral symptoms exhibited by people with Huntington’s disease: agitation, anxiety, apathy, psychosis, and sleep disorders. These were then submitted to experts around the world for consensus agreement on the merits of each statement. The guidelines are published in the Journal of Huntington’s Disease. “Clinical experience indicates that most of the neuropsychiatric symptoms discussed are treatable using non-pharmacologic and pharmacologic strategies developed for use in other diseases such as Alzheimer’s disease,” Anderson notes.